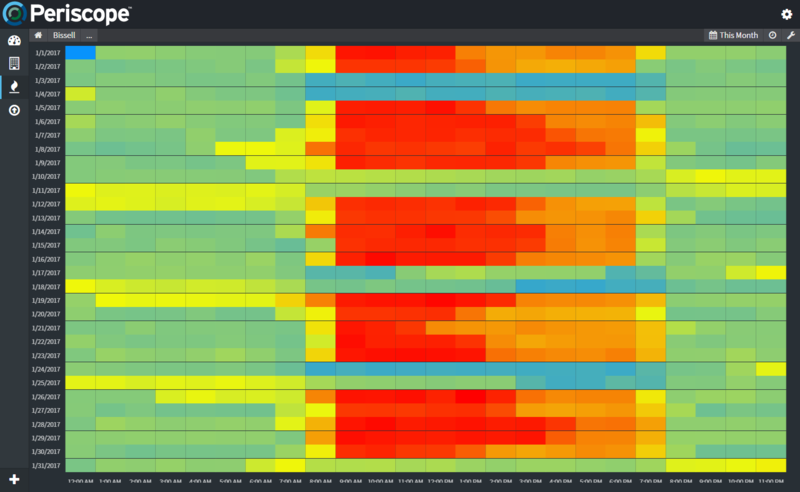 The Heat Map provides a unique hourly spectrum of any trend. Using this view, one can quickly identify anomalies and visualize trends across a time period. Heat maps are often used to identify periods of intense energy and equipment runtime.